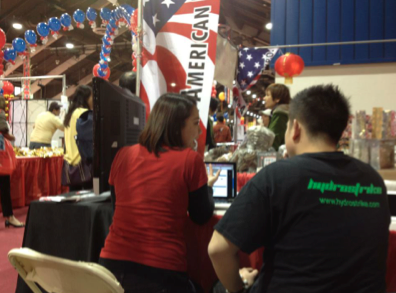 Asian American Expo generally takes place at the beginning of the year, before Lunar New Year. In anticipation of Year of Snake, Ready Artwork kicks off 2013 at the 32nd Annual Asian American Expo. 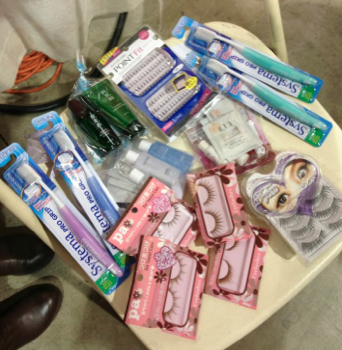 This year, the Asian American Expo took place at Pomona Fairplex and was filled with 800+ vendors. To top it all off, there were over 100,000 visitors for the weekend. Ready Artwork is proud to be a part of something so great in the Asian American community. The Asian American Expo is a place where Asian Americans and others in the community gather in celebration of Asian culture. Out of the 100,000+ visitors, we were able to talk to a good handful of small business owners and give them through consultations on web design, graphics, and social media marketing. Besides being hard at work, we also took turns exploring the expo. Many booths were giving out samples. There was even one booth that gave out Vietnamese Pho Noodle samples!!! It was definitely an amazing experience to kick off the New Year! 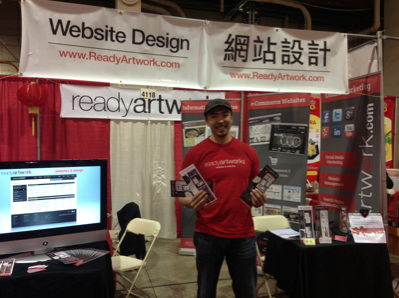 After a fun and successful event, Ready Artwork wanted to invite our fans to join us at next year’s Asian American Expo 2014!